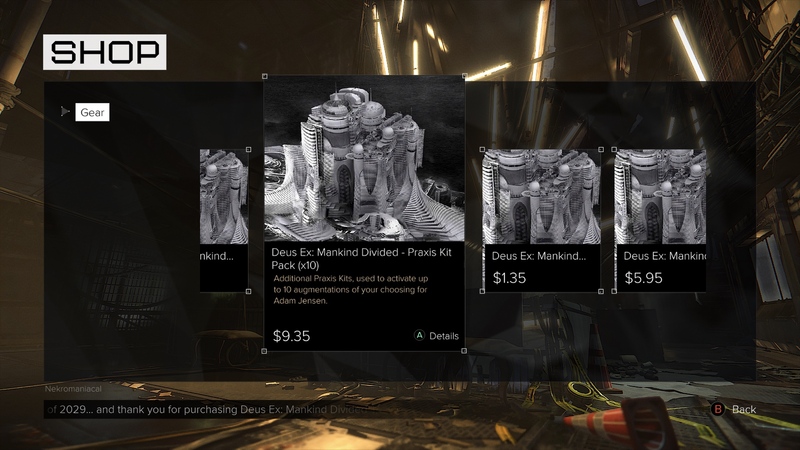 While it has already been fairly common knowledge that Deus Ex: Mankind Divided’s Breach mode would contain purchasable Booster Packs, the extent in which microtransactions have permeated throughout the overall game was somewhat of an unknown. Now that the game is out and on store shelves, and now that digital storefronts have been updated to reflect what purchases can be made relating to the new Deus Ex game, we can have a clearer idea as to what additional charges Square Enix have added to the overall experience. As previously mentioned in the title, it is possible to buy packs containing currency and Praxis Kits for the single-player campaign. At this point in time, currency can be acquired in lots of 1,000, 5,000, 10,000 and 15,000 Credits for the price of $0.99, $4.49, $7.49 and $9.99 respectively. Praxis Kits can be obtained in lots of 1, 5 and 10 for the cost of $0.99, $3.39 and $6.99. Chipsets, which serve as a form of currency for the Breach game mode, can also be purchased using real-world money. Chipsets can be used to buy Booster Packs of content, custom weapons and so on. These currently retail at $0.99, $4.49, $7.49 and $29.99 for packs of 10, 50, 100 and 500. 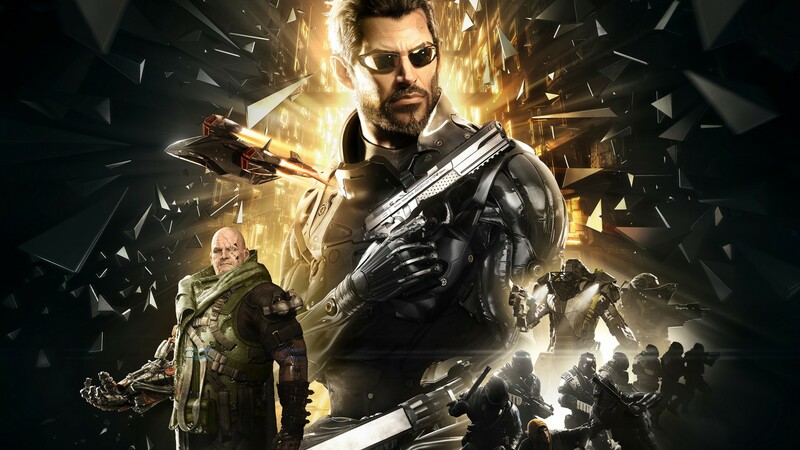 Considering that it’s now been proven that a significant portion of the Season Pass consists of either reskins of weapons already available in-game and content acquired through microtransactions, it seems more advisable than ever to simply wait until the two story missions the Pass is also meant to provide have been released and reviewed before dropping any money on additional Deus Ex content. Thankfully, the base game is still very enjoyable.